WeTap is a drinking water fountain locator! 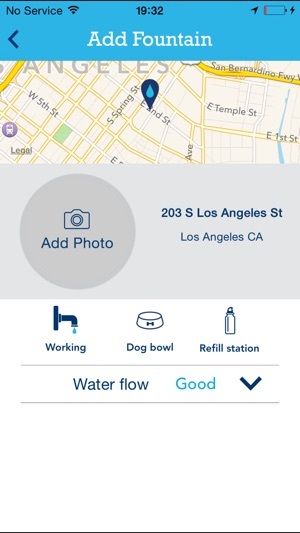 Use the app to find free tap water near you or to map a drinking fountain that you've found in order to share it with others. Find Water Fountains - Thirsty? Don't want to buy bottled water? Free, quality drinking water is probably available somewhere nearby. 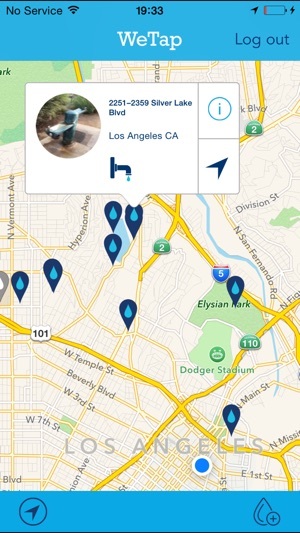 Just open WeTap and you'll immediately be shown water fountains near your current location that have already been mapped. 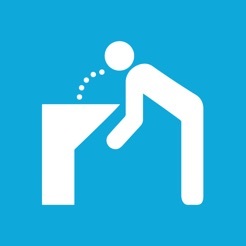 Share Drinking Fountain Locations with Others - If you find a water fountain, you can share it with other WeTap users by entering a few pieces of information. 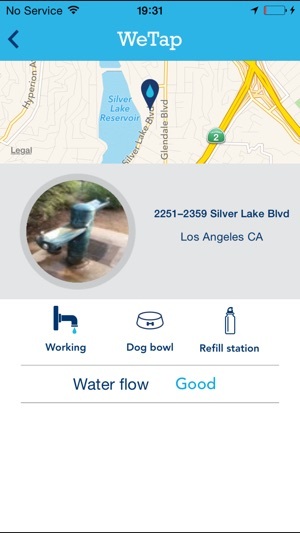 WeTap makes it quick and easy to help everyone find public drinking fountains. Help Create Positive Change - Whether you're in your own neighborhood or looking for water in an unfamiliar city, you can help to encourage improved public water access. Add water fountains that are broken to the map and this important data can be shared with local city officials in order to help them improve community drinking fountains and public tap water access. - Help the environment by reducing single-use plastic bottle waste. - Save money by drinking free tap water instead of buying bottled water. - Avoid PCBs and other chemicals found in bottled water. - Help encourage the improvement of public water fountains. - Promote water access as a human right. WeTap hopes to accomplish many goals with one simple application. Start using WeTap today and join the community of people helping to make drinking water more accessible in parks, schools, sports stadiums, and for thirsty people everywhere! Best water app for most areas. I'm finding some incorrectly located water fountains. Would be good to allow users to provide some feedback in the information window for the pins, maybe just star ratings, or we could just indicate "yes" or "no" wether we were able to find the fountain. I absolutely love this app. However, the adding of new fountains features appears to be broken. Also the photo feature doesn’t seem to be working either. 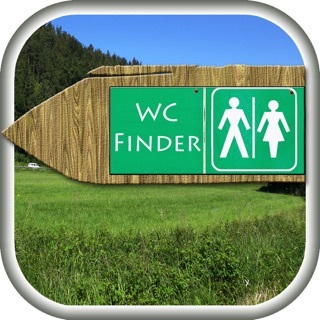 I do still love this app for finding water fountains in a pinch and have used it internationally. Great for the traveling runner! Nearly perfect. Needs the ability to add locations when not physically there and a method for updating broken or incorrectly tagged fountains. Thank you for providing this app!